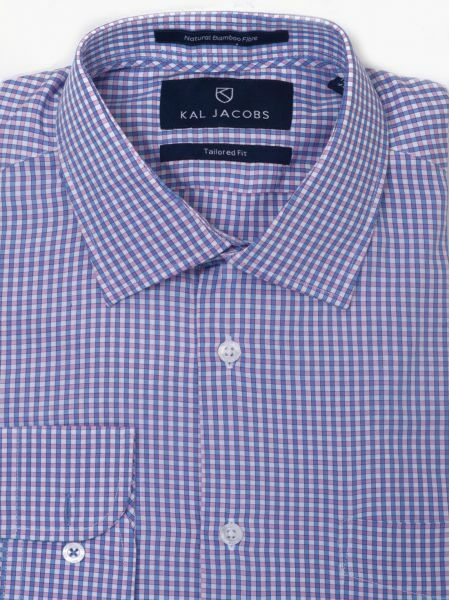 A Gingham shirt is a great way to add dapperness to your wardrobe and this Tailored Fit Blue & Pink Gingham Bamboo shirt is fine choice. It features round cuffs and a short cutaway collar. Made from Organic Bamboo Fabric, this shirt is a pleasure to wear with its smooth and lighweight feel against your skin. This Casual Fit Blue & Red Plaid Bamboo shirt is spun from Organic Bamboo fabric which is renowned for their luxurious softness and unbeatable comfort. It features a soft classic point collar. Organic Bamboo fabric has amazing Antibacterial, Hypoallergenic, Wicking and UV Rays Protection properties.